Here you will find 12V power supply units and UPS for video surveillance cameras. 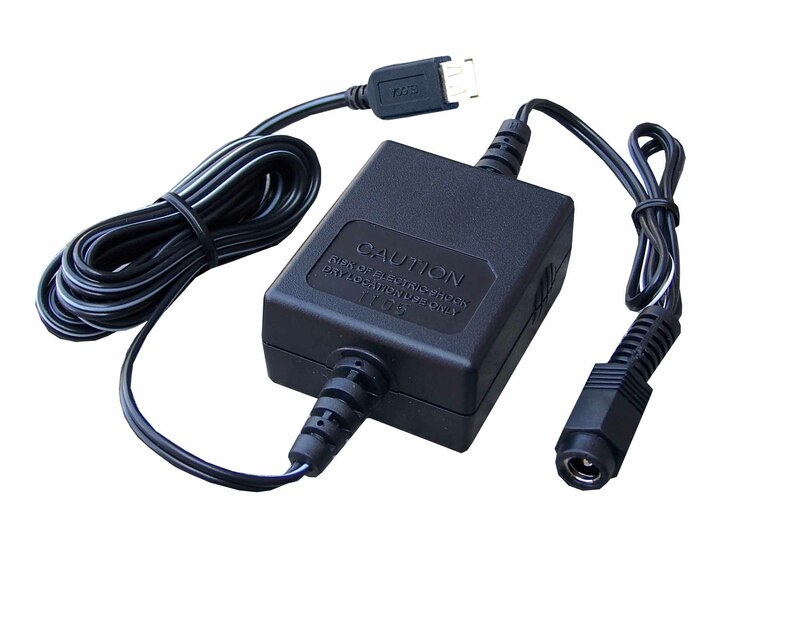 Choose a small 12V adapter to power a single device, or a centralized power supply box for your whole CCTV system. With UPS your security cameras still work in case of a power failure. 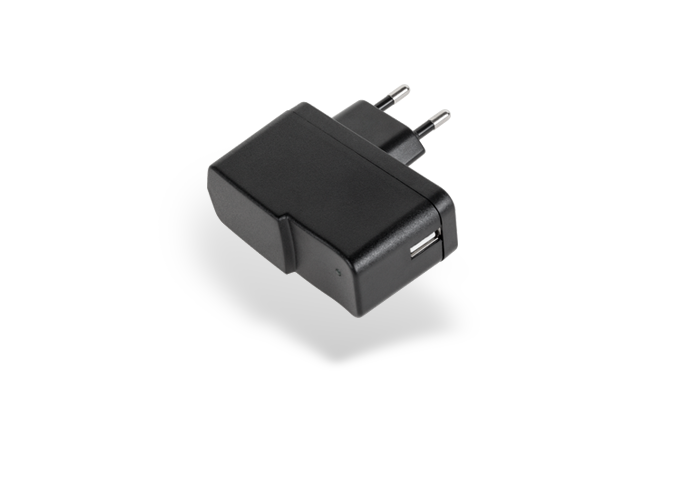 These compact power adapters are used to convert the 220V AC mains in 12V DC, which is the low voltage that almost all video surveillance devices require. They are small DC power supplies and have enough power for a few devices. They are usually placed near the device, directly plugged into a power socket or wired in a junction box. This is the typical power supply for a fixed camera or any 12V device with a power consumption up to 1A. Unlike other similar products on the market, the electric plug is not built-in, but wired on a cable. This is a very important feature because it allows you to connect the power adapter to an outlet, but also, if necessary, to remove the plug to connect to power terminals. 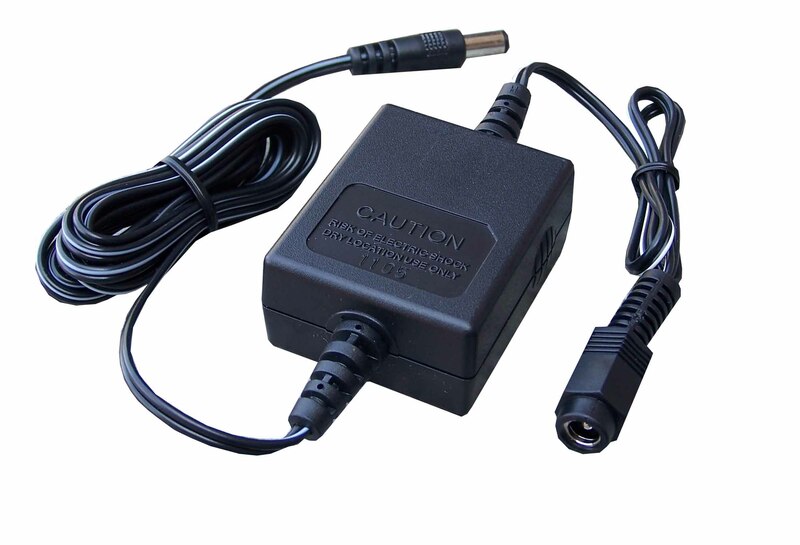 This is a 12VDC power supply for a fixed camera or any 12V device with a power consumption up to 1A. 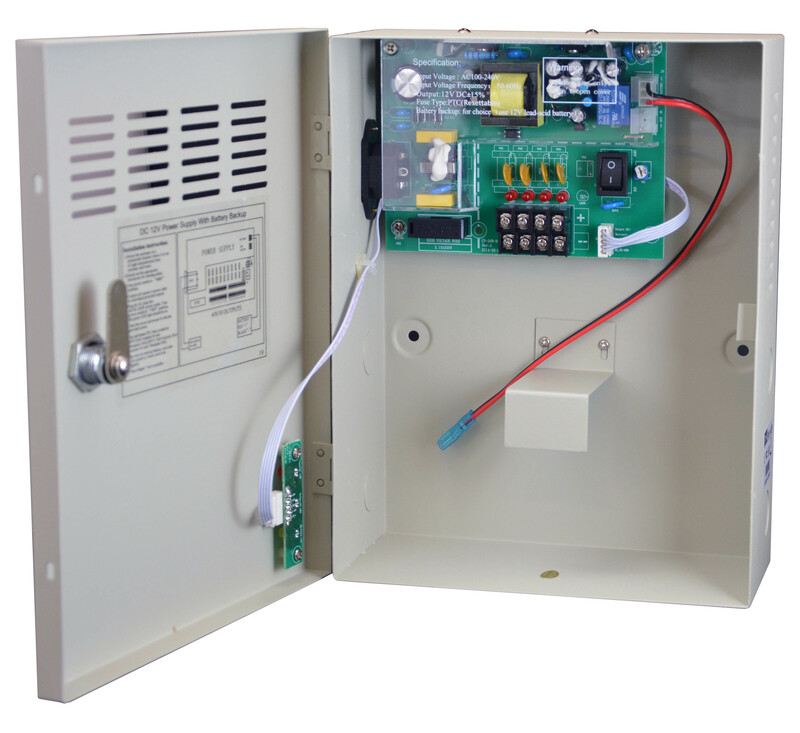 It is designed to be installed in a junction box, so that, instead of the classic plug, it has a small terminal block to connect the 220V cables. To reduce the dimensions to a minimum, this power supply is supplied without plastic casing, but protected with an insulating jacket. 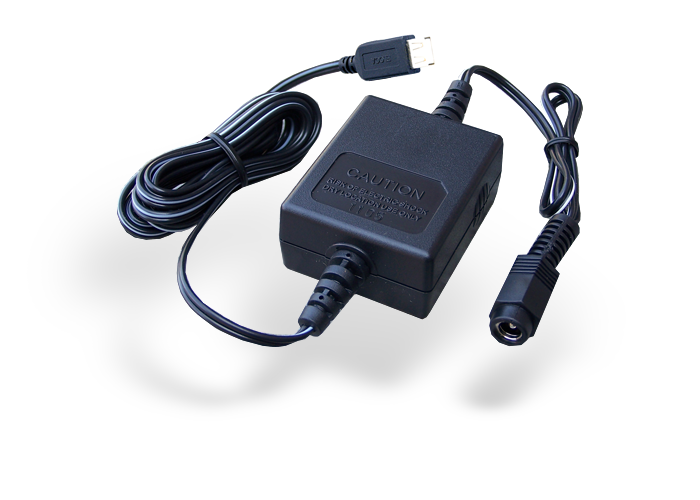 This is the typical power supply for a motorized camera or a fixed camera with powerful IR illuminator up to 3A power consumption. 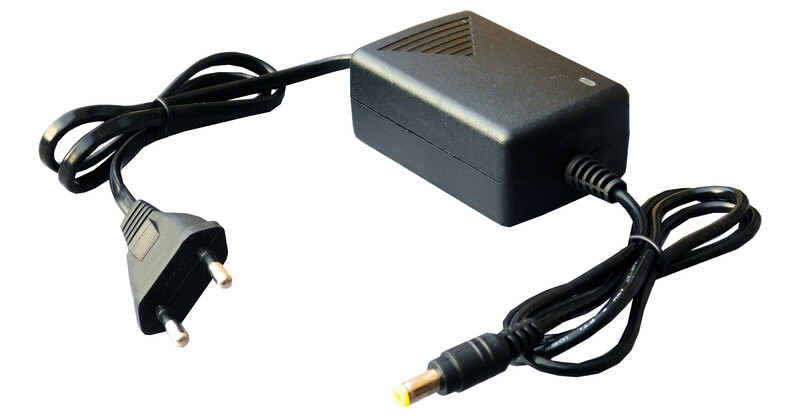 You can also use this adapter to power two or three devices together, splitting the DC output with a splitter cable (see connectors ). Unlike other similar transformers on the market, the electric plug is not built-in the power supply, but mounted on a cable. This is very important in installations because it allows you to connect the power supply to an outlet, but also, if necessary, to remove the plug to connect the cables to terminals. 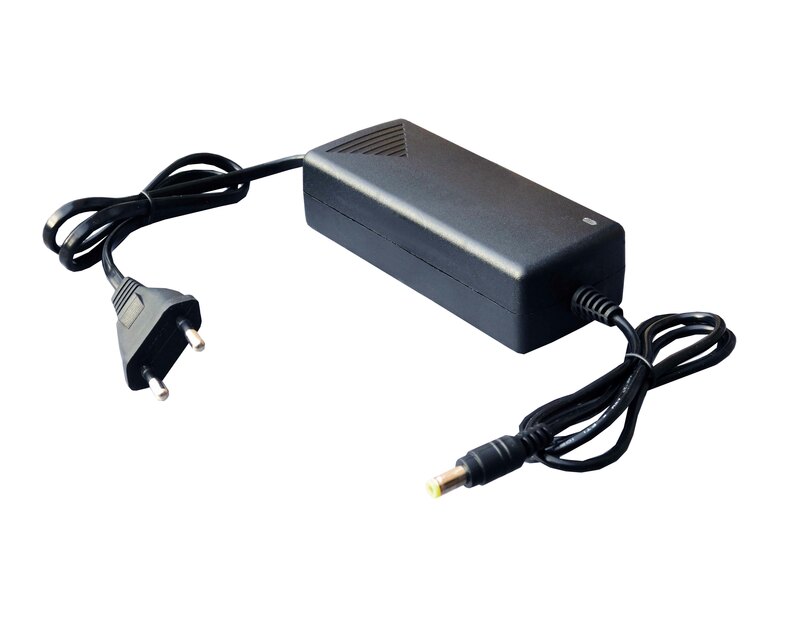 This is an excellent power supply for a small CCTV system with up to 3/4 cameras with total power consumption up to 5A. It comes with a 4-output terminal block to supply up to 4 12VDC cameras. 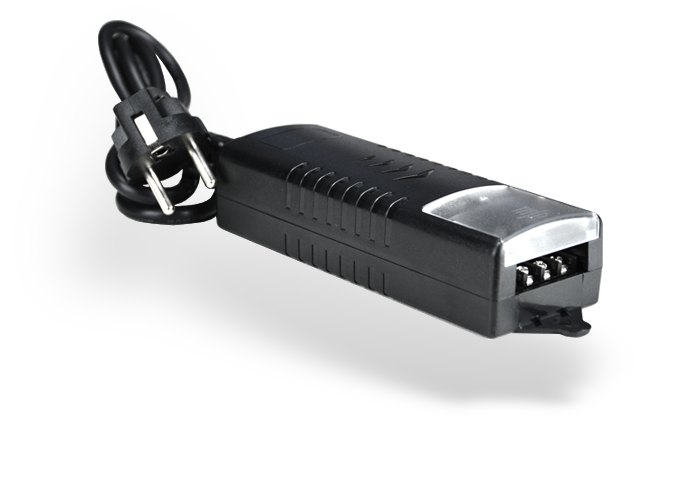 This is a 5VDC power supply for USB devices like our DK series hidden spy cameras. 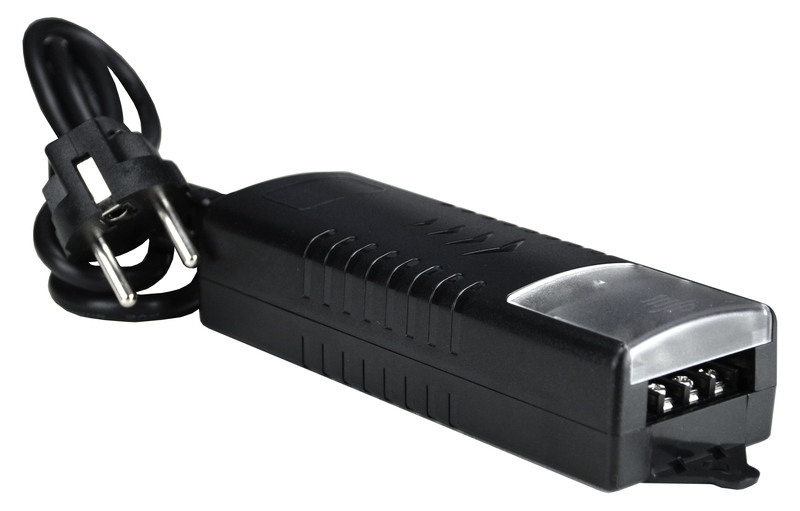 This is a 5VDC power supply for USB devices like our DK series hidden spy cameras. It is ideal to be installed in a junction box or hidden inside an object, together with the camera. This is a 12VDC to 5VDC voltage reducer used to power 5VDC devices from a 12VDC power line. It is useful if you use a 12V battery as a power source, such as on boats or vehicles. 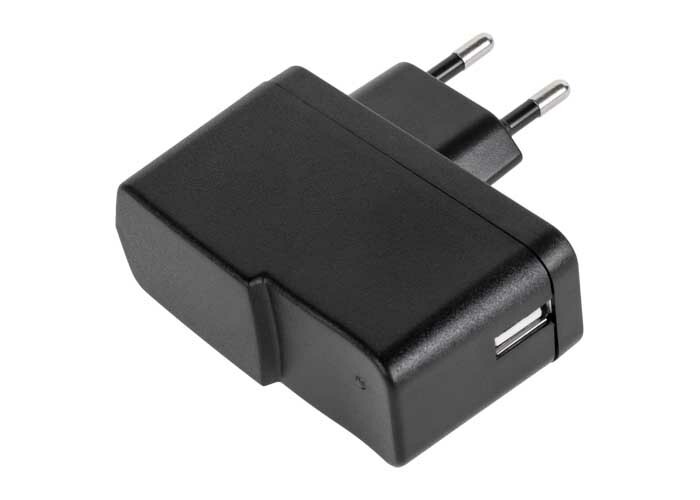 If you want to connect this adapter to a 12VDC rechargeable battery for alarm systems, you will find a cable with fast-on terminals in the connectors section. 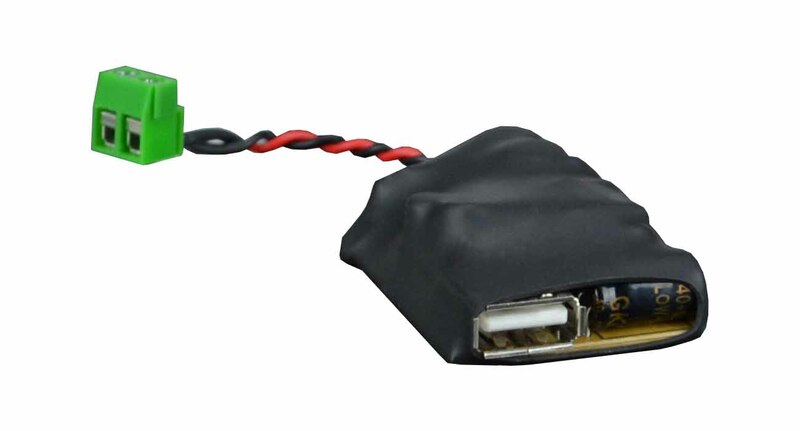 This is a voltage reducer to power 5VDC USB devices, like our DK series spy cameras, when you have 12VDC. It is useful if you use a 12V battery as a power source, such as on boats or vehicles. 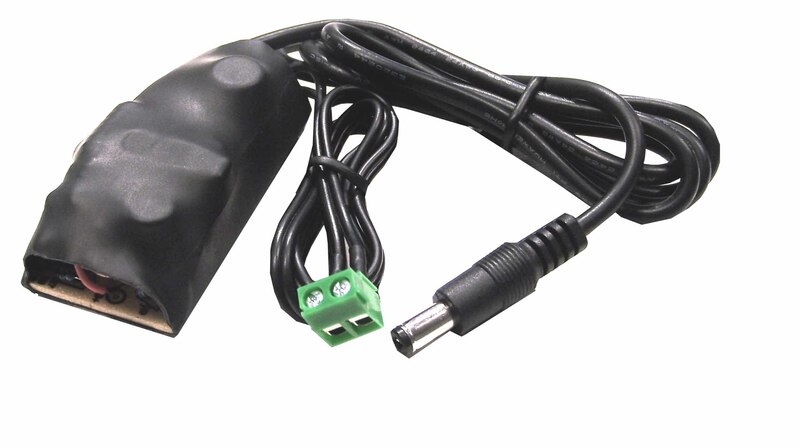 If you want to connect this adapter to a 12VDC rechargeable battery for alarm systems, you will find a cable with fast-on terminals in the connectors section. 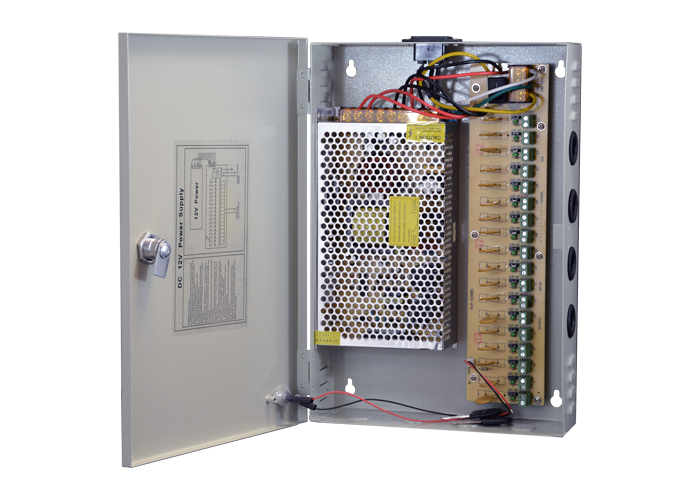 These CCTV power supply units are designed to power all 12VDC cameras of a video surveillance system. They are used in analog AHD CCTV systems and not so much in IP systems, where POE power is often preferred. These power supply boxes are usually installed near the DVR, where all cables come from the cameras. This is the classic centralized power supply for 12V CCTV cameras. 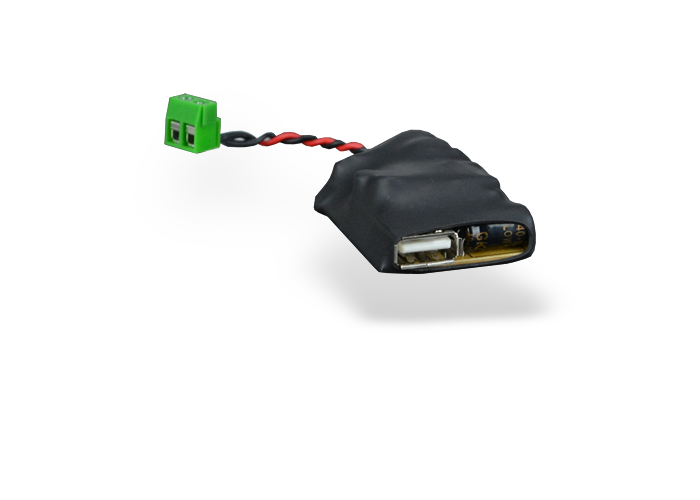 It connects to the 220V mains and provides 18 12VDC outputs for cameras, each with PTC protection against overload. 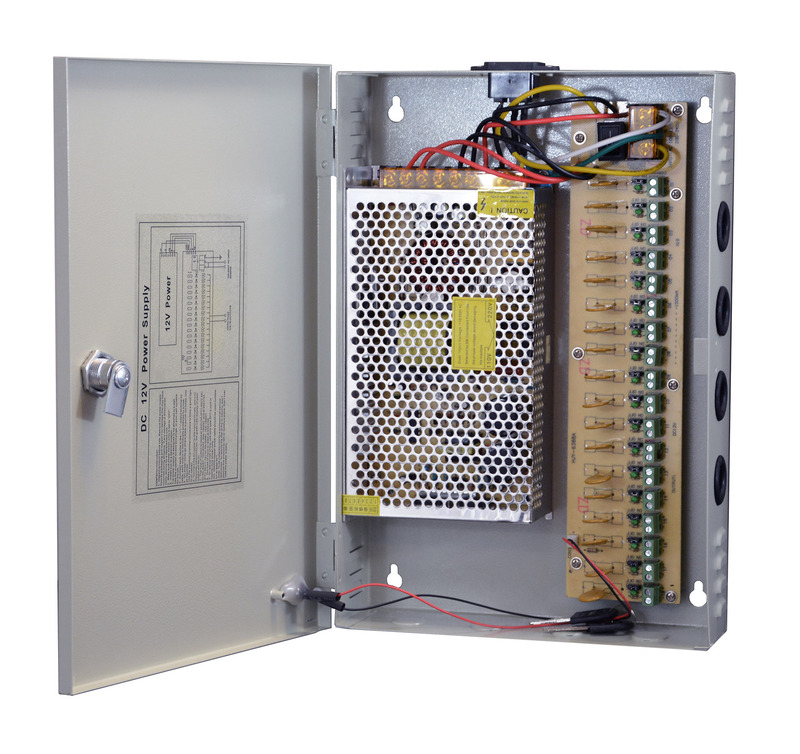 This power supply box can supply a maximum global current of 20A and takes advantage of switching technology. This PSU come in a strong metal box with on/off switch and key lock. 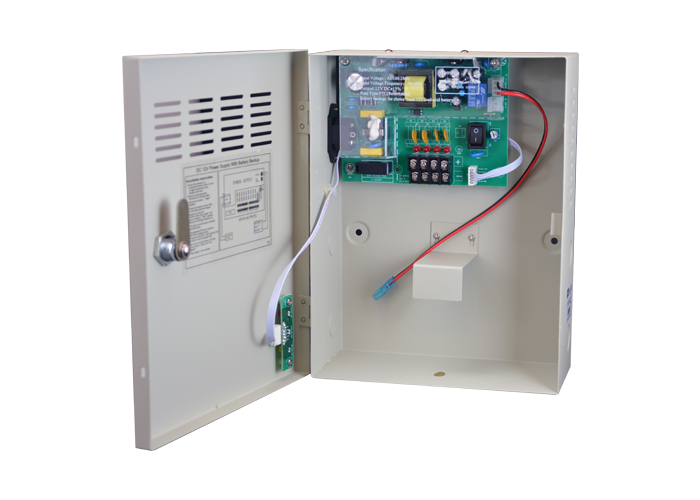 This is a centralized power supply box for 12V CCTV cameras which provides the option to install a backup battery against power failure. 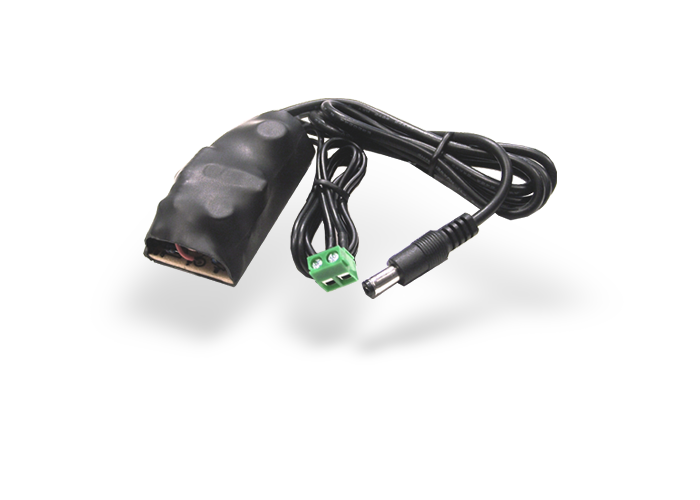 It connects to the 220V mains power and provides 18 12VDC outputs for cameras, each with PTC protection against overload. 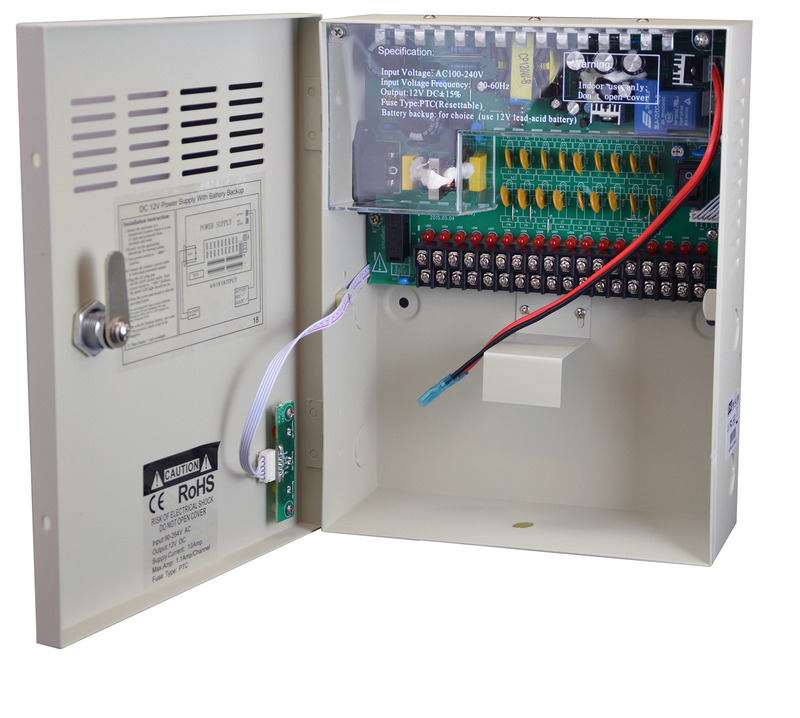 This power supply box can supply a maximum global current of 10A and takes advantage of switching technology. If you want to protect your CCTV system against power failure you can installed a 12V 7Ah rechargeable battery in this box. 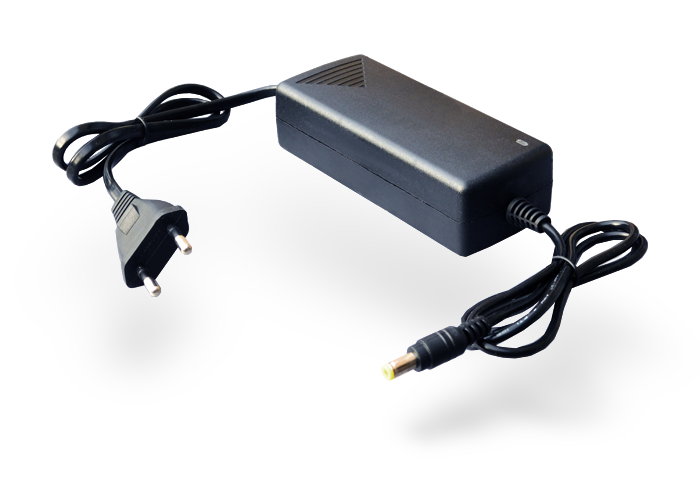 This power supply has the UPS function which provides uninterruptable switching from mains to battery power. For this reason you can use it to power digital devices, like DVR, as well as cameras. 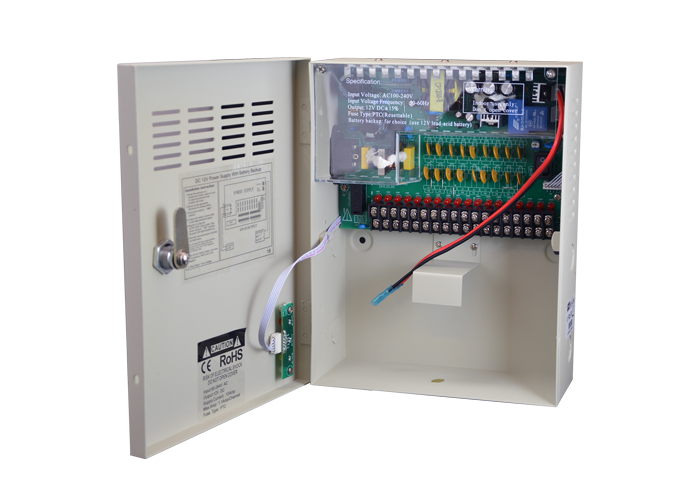 This is a centralized power supply box for 12V CCTV cameras which provides the option to install a backup battery against power failure. It connects to the 220V mains power and provides 4 12VDC outputs for cameras, each with PTC protection against overload. This power supply box can supply a maximum global current of 3A and takes advantage of switching technology. It is ideal for small 3/4 camera systems. If you want to protect your CCTV system against power failure you can installed a 12V 7Ah rechargeable battery in this box. 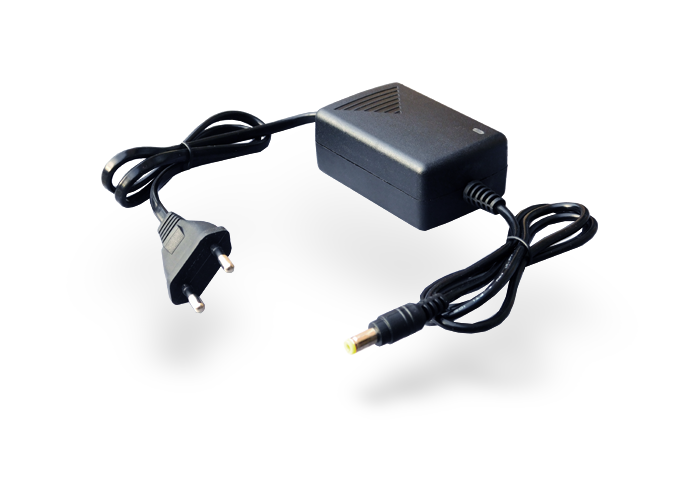 This power supply has the UPS function which provides uninterruptable switching from mains to battery power. For this reason you can use it to power digital devices, like DVR, as well as cameras. 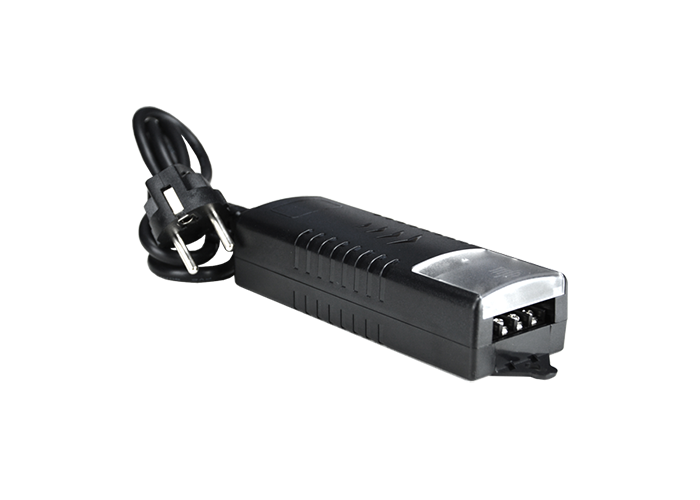 You can use this battery with the CCTV power supply units that come with a bay for the backup battery. 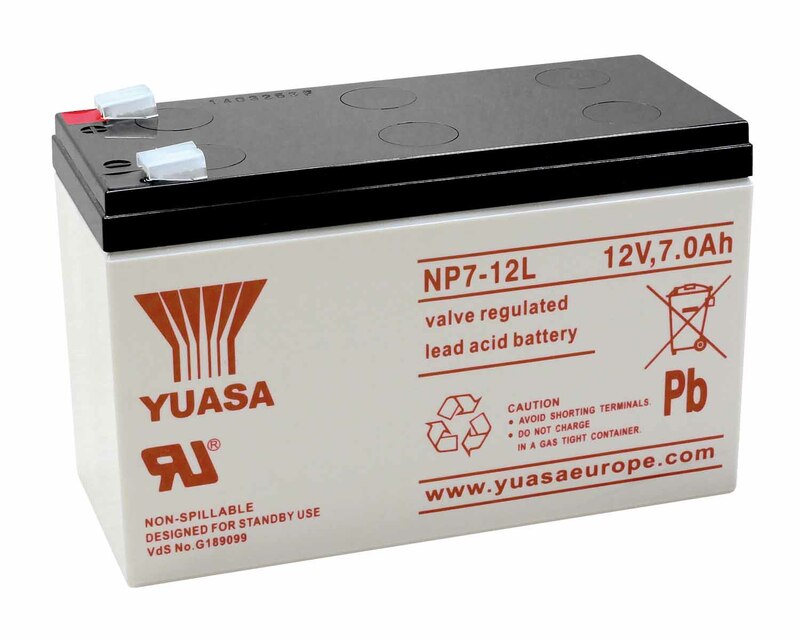 This battery provides 12VDC for 7AH during a mains failure. When the mains is restored, the battery is recharging automatically. 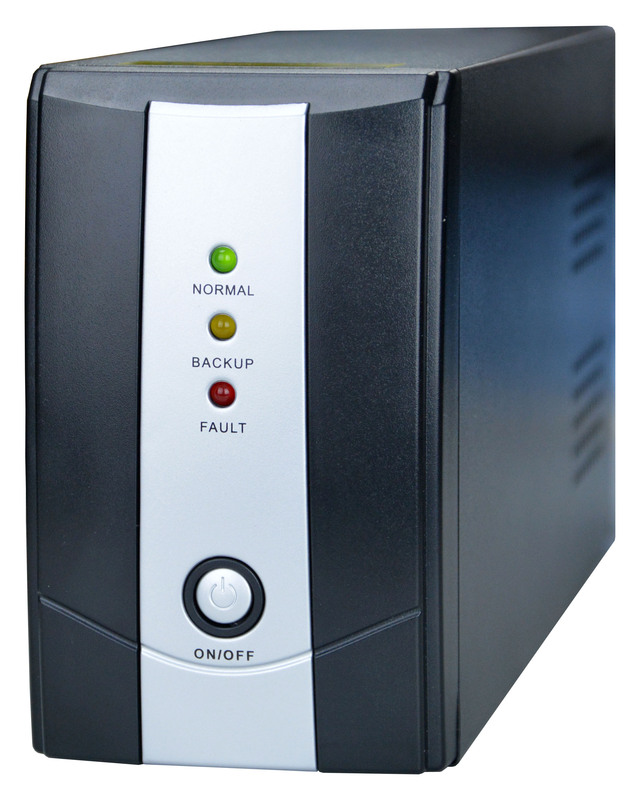 Uninterruptible power supplies, also called UPS, are used to protect important 220VAC devices, such as PCs, routers or NVRs, against main power failures. They are installed upstream of the equipment, along the 220V power line, and include a rechargeable battery. If a blackout occurs, the UPS provides 220VAC power to the devices without causing any power drop during switching. This UPS can power 220VAC devices and protect them in the event of a power failure. It has two 220V outputs for the devices and comes complete with an internal 7AH battery. In CCTV systems, it can be used to protect the most important devices of the system such as switches, routers and NVRs. With 500VA maximum power, this UPS power up an average CCTV system for at least an hour. 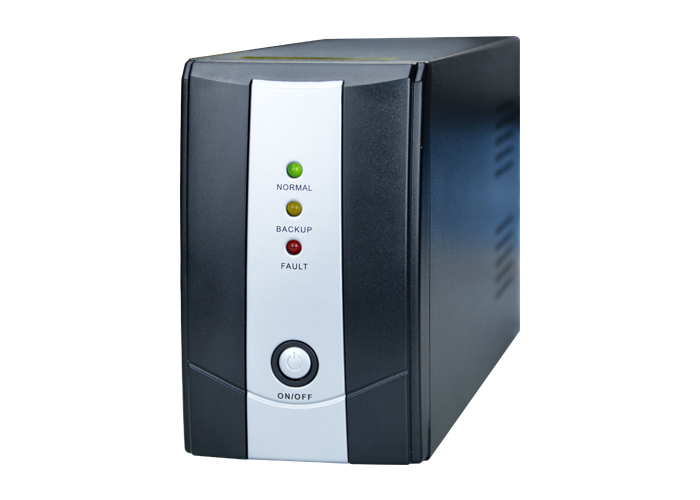 In addition to providing power in the event of a power failure, this UPS also protects the equipment against overvoltage, overloads and short circuits. Unlike other products, which use expensive specific batteries, this UPS is equipped with a standard 12V 7AH battery for alarm systems, which is easy and inexpensive to replace. Replacement battery for UPS. 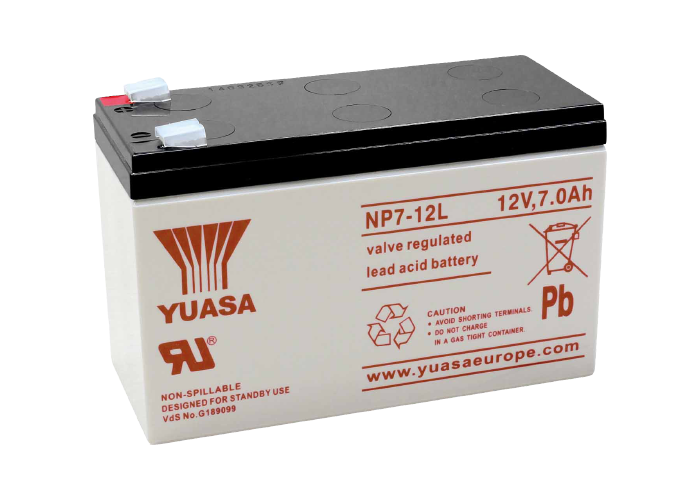 A battery like this is supplied as standard in all UPS of this range. How can I choose the right power supply? Check the maximum current required by each device in the technical datasheets. The power supply unit must be able to supply the sum of all currents plus an additional 20% for safety. Find the prices of our products in the Online Price List or in the CCTV STORE, our e-commerce portal.